A magnitude 7.2 earthquake hit the central Philippines on 15th October, 2013, with "an energy equivalent to around 32 Hiroshima atomic bombs." At least 144 people are reported dead, including at least 134 deaths in the cultural center of Bohol. In addition to loss of life and injuries, massive damage was done to beloved heritage sites dating back to the 1500's and 1600's. 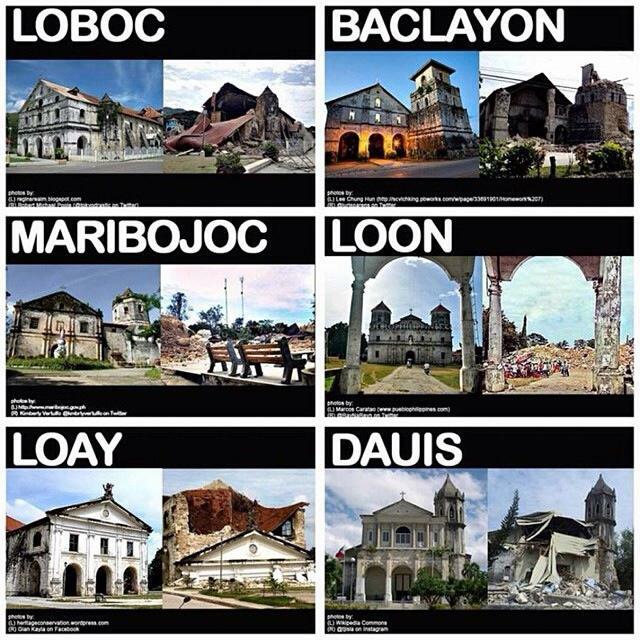 In particular, local people in Bohol are devastated about the collapse of several historic churches. You may have experienced a similar natural disaster. You may have relatives or friends in Bohol, or you may have simply enjoyed visiting this wonderful province of the Philippines. Now, the people of Bohol need your help! คุณจะช่วยได้อย่างไร? How can you help? People living in Thailand who wish to assist local efforts to re-build in Bohol are welcome to send donations via the Thailand Community Based Tourism Institute (CBT-I). On the 31st October, CBT-I will send these donations to The Bohol Arts and Cultural Heritage Council. Donations will be shared, with 50% of funds to be used for relief efforts (food, blankets, etc) and 50% of funds used to help support restoration of cultural heritage in Bohol. You can either 1) transfer funds to the Thailand Community Based Tourism Institute's Bank Account or 2) through the Family Tree's Paypal account. Option 2) make a secure contribution via Paypal through the Family Tree. **There are no administration fees. 100% of donations will be sent to the Bohol relief effort. Why are we raising funds to help the people of Bohol? "Friends helping friends." 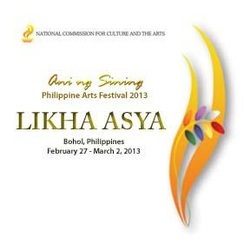 In February, 2013, several Thai organisations working in community based-arts and tourism were invited to Bohol, to participate in the LIKHA ASYA festival on community theatre and the creative industries, organized by the Philippines National Commission for Culture and the Arts. 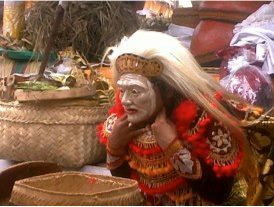 This event created an ASEAN network in community-based theater, tourism and arts. We wish to offer our grateful support to Bohol's people, by raising funds to help them to rebuild their lives, spirits and precious cultural heritage. In Soi Ponsuk, the heart of Hua Hin’s ‘evening entertainment’ zone lies a beacon of hope for the enduring spirit of community and effort to earn a living, through honest hard work. Khun Darunee and members of the Ponsuk Women’s group craft and paint simple, wooden fans, which are on sale for Thai and international visitors in Hua Hin. The work is simple, but the fans certainly make a nice, small gift and support a good cause. Prachuab Khirikhan province, including Hua Hin is famous in Thailand for delicious pineapples... Tucked around the corner of Phetchkasem Road, Soi 37, next to the Royal Palace, you will find an interesting row of local vendors, who have been supported by the Community Development Department, Hua Hin district, to sell local products, under the very successful ‘One Tambon, One Product’ (OTOP) scheme. It’s worth making the journey to taste fresh Prachuab Khirikan pineapple, as well as typical Thai sweets and snacks made from preserved fruits. All vendors are registered with the OTOP scheme. The local vendors have limited English, but with a smile and a little patience, you will have a fun shop! means "I would like to taste some pineapple please!" The Royal Project shop is a great spot to enjoy a fragrant cup of organic coffee, top quality Oolong and herbal teas, and healthy snacks. This homely shop also sells fresh fruits and vegetables, preserved foods from Royal Project centers in Chiang Mai, and some charming souvenirs including handmade cotton scarves, fresh and dried flowers. For over twenty years, the Royal Project Foundation, initiated by His Majesty King Bhumibol Adulyadej, has worked tirelessly to improve the livelihoods of remote, Thai highland communities. The Royal Project team has helped villagers to replace opium cultivation with chemical-safe agriculture, such as delicious, cool-climate fruits and vegetables. The Royal Project shops help to bring these products to the market. Anantarak Health Training School aims to help Thai women find decent work as nurses, while also providing essential health services to children and the elderly around Hua Hin. In addition to paid services, the school organizes regular social activities, including free check-ups and house cleans for the elderly, activities with school children and beach clean ups. Visitors in Hua Hin who wish to join activities are very welcome. Interesting news for senior travelers or the retired community in Huua Hin is that Anantarak also organize professional care and transportation for elderly or disabled visitors, to help them fully and safely enjoy the sights and flavours of the area. 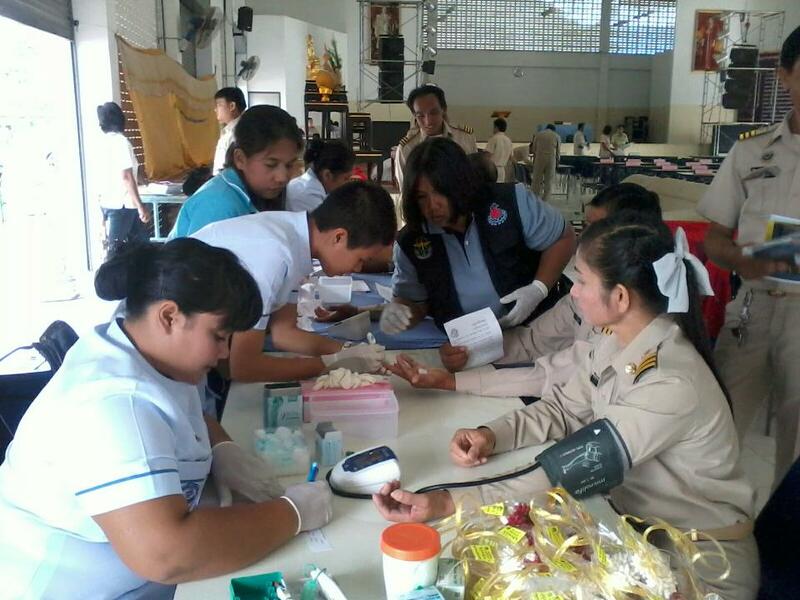 The Anantarak team providing free health checks to government workers in the Hua Hin area. Thailand is a very friendly country. People always appreciate when a foreigner makes the effort to speak some Thai. Even just speaking a few words of Thai is enough to show your hosts that you are making an effort. 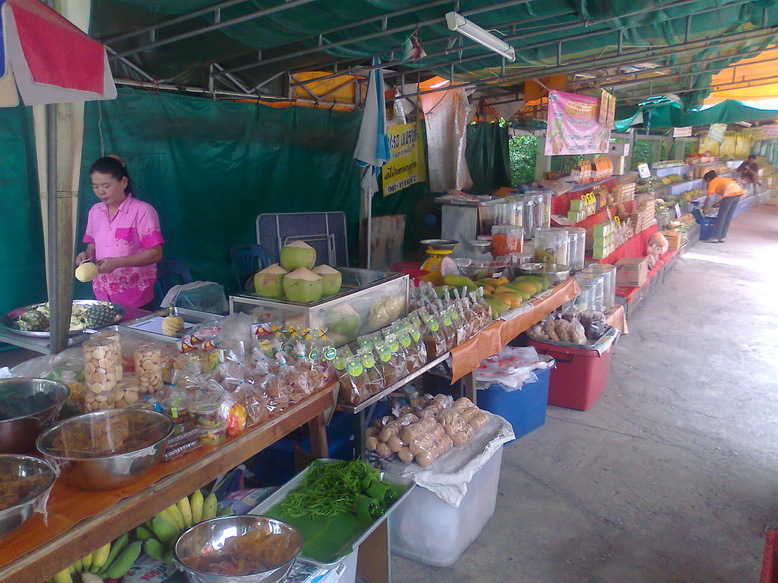 If you are in urban areas, where many people speak good English, you may find it more difficult to practice Thai. You will probably find that lots of people would prefer to practice their English with you! If this is the case... head to the local markets. 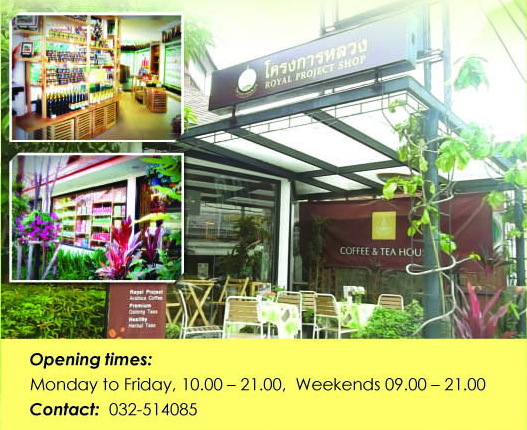 Have a bowl of noodles or a Thai coffee and chat to the owners. This is a great fun way to practice small-talk in Thai. the Stars,” is stylish and sophisticated, with a green and welcoming heart. You can enjoy the comforts of home in lush, natural surroundings and a comfortable, yet rustic atmosphere . 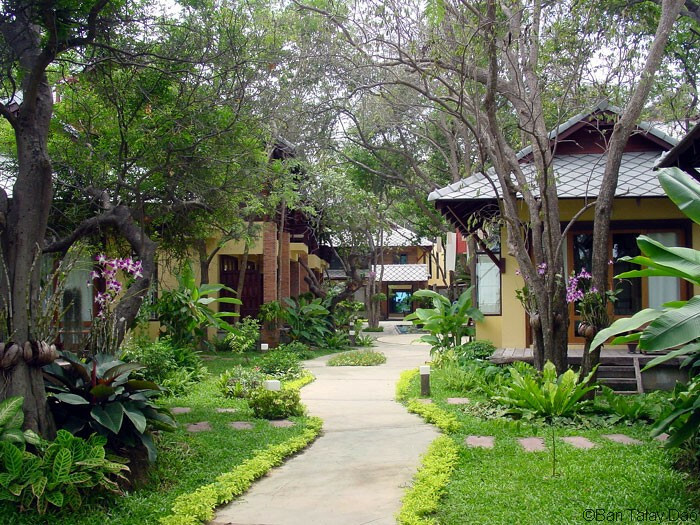 The resort offers four types of accommodation. Design is a fusion of traditional Thai and contemporary. Ban Talay Dao is a smoke-free, 3 Greenleaf certified hotel, operating according to the motto, “Save the Environment and Sustainable for the Earth”. 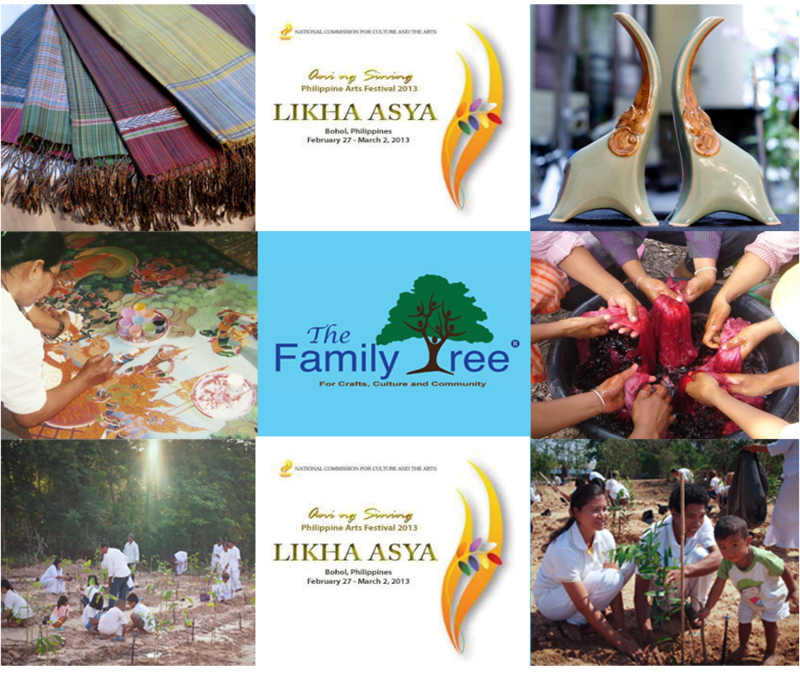 The team have a vision and mission to help Hua Hin to develop as a sustainable destination. Hotel policy is to “Reduce, Reuse, Recycle, and Re-buy.” Practical initiatives include water and waste management, chemical management, energy conservation, reducing plastic, using natural or recyclable products or materials and prioritising healthy food. 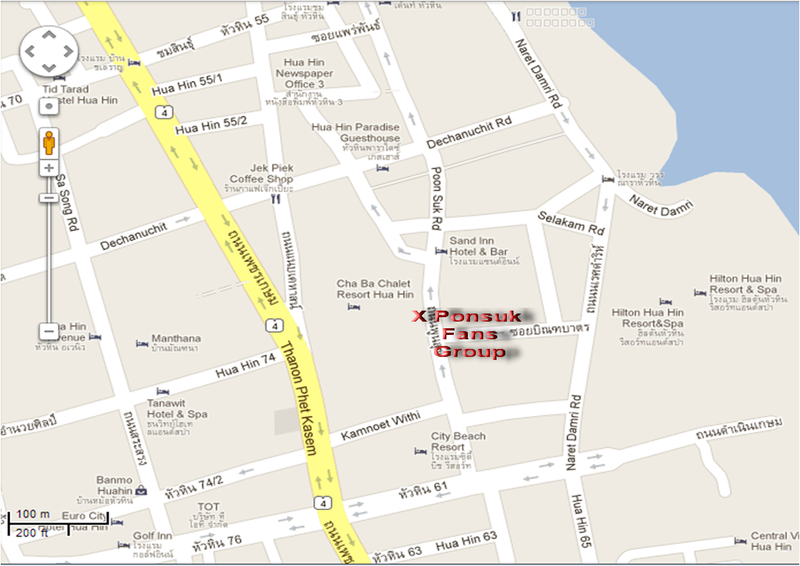 Eighty percent of the staff comes from Hua Hin and nearby areas. All staff are paid above the provincial minimum wage, plus service charges and other welfare above legal minimums such as accident and life insurance, health checks, staff parties and zero interest loans, external and in-house training. The hotel supports the community by supporting social activities in Khao Takaib Village and Hua Hin areas, such as sponsoring and donating money during the Songkran Festival and Children’s day and sponsoring the Tourism Police football team. The hotel donates food and blankets to the Pala-Uo underprivileged communities every Christmas eve with Hua Hin College School. 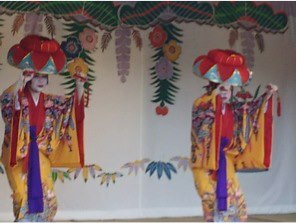 Guests are encouraged to visit Takaib Fishing Village to experience fisher folk culture with a local guide. The online guide to responsible tourism in the Greater Mekong Sub Region. Two clean and reputable salons are run by a friendly couple of retired teachers. They employ masseurs who have been trained at the well known Skills Development Center for the Blind in Koh Kret. The salon uses high-quality massage oils and lotions, including those produced in the local area. *Note: Thai massage is intended to exercise the body, and can be vigorous. Always inform your masseur if have health problems, or you require a more gentle massage.